We are located in Clashganny, Borris, County Carlow, Ireland (See map below). Because our furniture is custom made, any quirky corners and non-standard spaces in your home can be made useful and beautiful, whether it be in a new kitchen, furniture for the bedroom or in other parts of your home such as under the stairs. We make everything in the workshop therefore installation is achieved with minimal disruption to your time and home. We are experienced at working with interior designers and architects and happy to work with their designs and co-ordinate work to fit the project schedule. 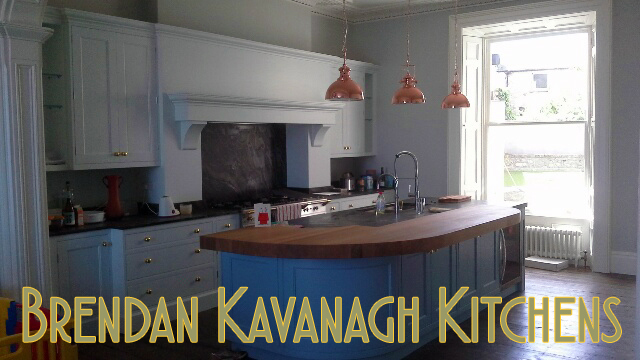 Brendan Kavanagh has worked for over 20 years creating unique, high quality fitted kitchens and furniture designs which are all hand-built in his Co. Carlow workshop. Lasting, quality workmanship will enhance your home. Browse the photo galleries for ideas and call us today!